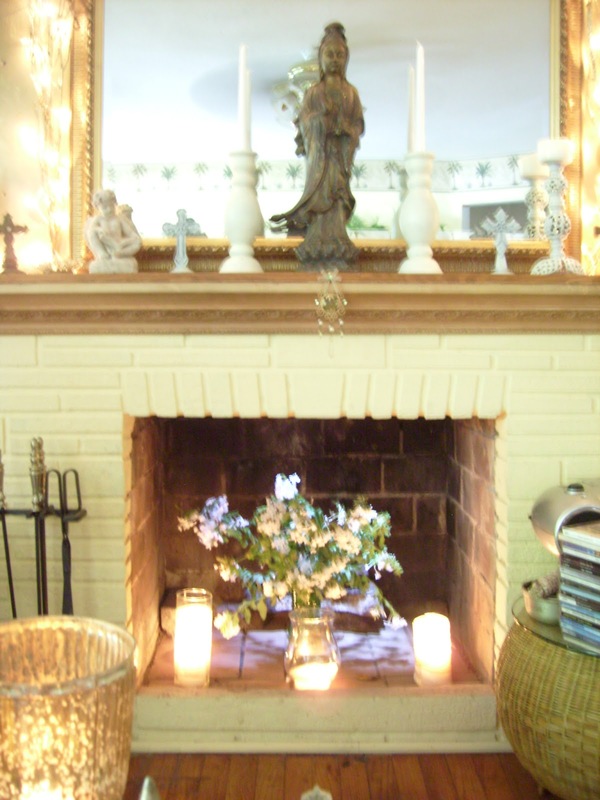 Fairy Cottage and Garden..... Re- Enchanted Life of a Domestic Mystic: When the Fireplace is not used? 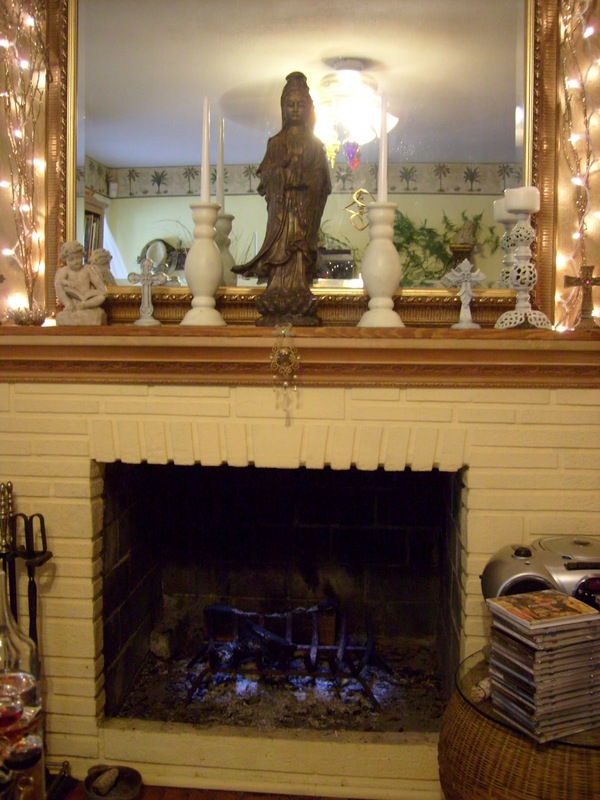 When the Fireplace is not used? We have a fireplace in this old cottage. It gets used maybe once or twice during the year. We live in Florida. 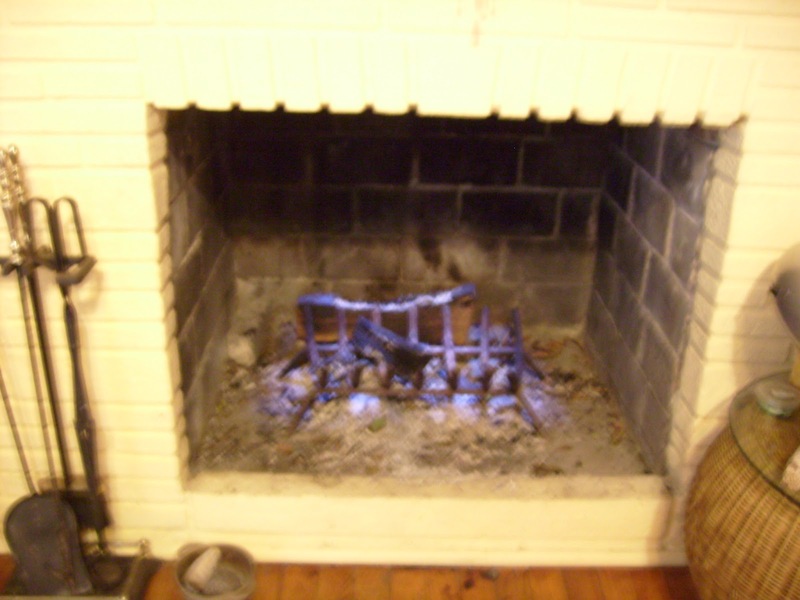 When the day comes where its cold enough for a fire, its like a Christmas day. The fires are beautiful, relaxing, hypnotizing muses, and I love them. 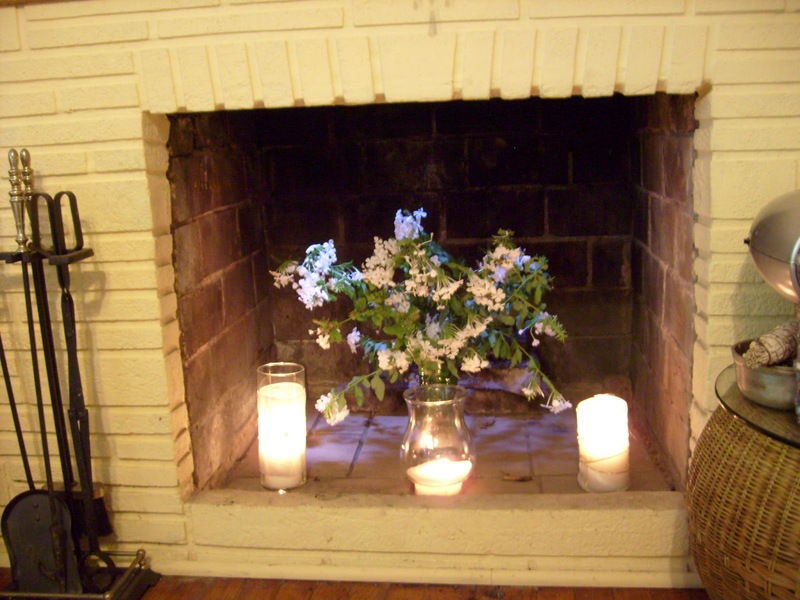 But here, 99% of the time, the fireplace is not used, and I have to get creative in finding ways to make an unused fireplace look like more than just a blackened ashy pit. This picture is with a flash and the overhead lighting on which I never use so it is much brighter, no sense in showing you a picture of just a dark pit. So I went ahead and began cleaning it out, and yes I did sing the song Chim Chiminy Chim Chiminy Chim Chim Cheru . I decided on simple, which always works. 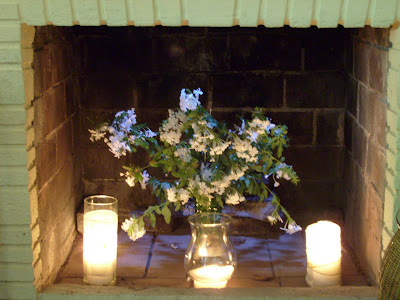 A vase of white flowers with candles using what glass I had around doing nothing, and added candles of what was on hand. I added some shimmery silvery 6 inch ribbon to 2 of the vases for a nice glow. But this is it for now. 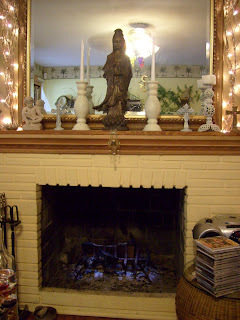 By the time I was done, the light coming through the chimney lit the floor of the fireplace which was nice.